Do you need any cardio workout at all? For any man who is trying to lose that beer gut, or work off that unsightly spare tire, we want to know how we can best reach our goal with as little suffering as possible. This does not mean that there is a way to be ripped without getting active or changing the way you eat. However, there are ways that you can get the most from your diet and exercise efforts. 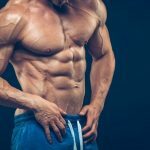 All it takes it a bit of know- how, advice, planning, and diligence, and you will be armed with the tools you need to get the body you've always wanted, without starving and without spending all day in the gym. As much as it would be nice to say that the best cardio workout is the trip from the couch to the fridge, that is just not the case. We live in a society where it is easy to overeat and be sedentary. In fact, there is such a high availability of convenient, calorie-laden, nutritionally devoid foods that we don't even have to get out of our car to consume. This means that it really does take some motivation and effort to avoid falling into the trap of convenience foods eaten in front of a television day after day. Not all guys are the same, so it takes an individualized plan for you to really get to where you want to be. But there are some good basic rules of thumb when it comes to the basics of cardio workouts for men and the best diet that can accompany it. With good cardio workouts and good dietary basics, you are well on your way to looking and feeling better. This kind of workouts are also great as a warm-up before more strenuous exercises. When most people think of losing weight, they think of living on nothing but salads while torturing yourself for hours upon hours in the gym every day. While it would be unfair to say that losing weight and keeping it off for the long haul is easy, it also doesn't have to be rocket science either. First and foremost, to lose weight, we have to expend more calories in our daily activities than we consume. This basic math is the root truth behind weight loss and there are a few different ways to address this. Some people would rather work out more and longer hours, rather than cut certain high-calorie favorites from their diet. If you keep an eye on your calories in versus calories out, this can actually work and even quite well. However, depending on what your treat of choice is, you could still be at risk for certain health problems like high cholesterol or diabetes. Basically, if you really want to jump start weight loss, you can tackle the problem from two different angles: you can reduce your caloric intake while also upping your physical activity. This is a great way to see a nice, healthy burst of initial weight loss as your body gets used to your new lifestyle. Many people are surprised at their caloric intake and the lack of nutrition in their diets once they sit down and really evaluate their lifestyle choices. When working to devise a plan of action to address your weight and to start a cardio routine, many recommend keeping a food journal for a few weeks before you make the change. 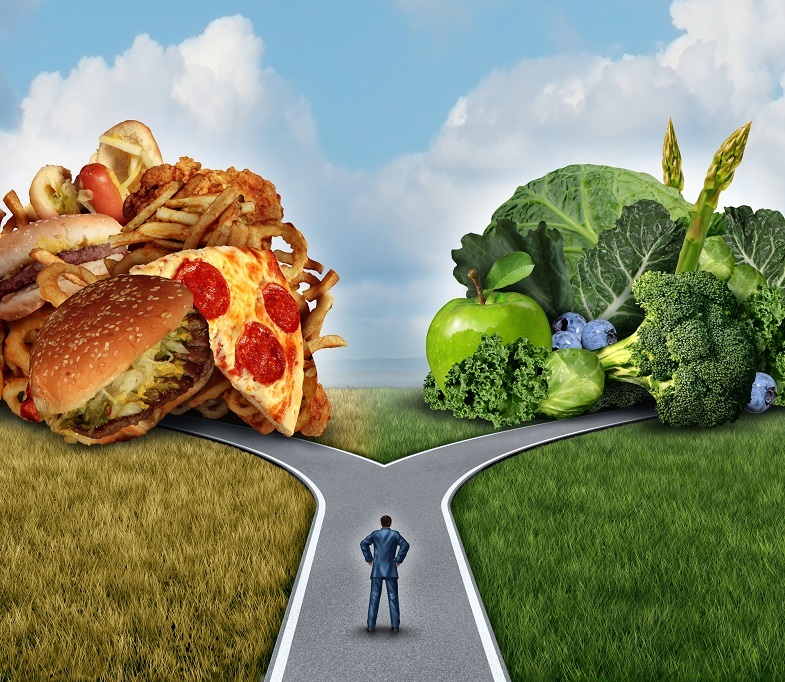 This will give you solid visual evidence about the state of your current dietary patterns. Maybe even find calorie counts so you can have an idea of what you take in on an average day. Oftentimes, there is a lot of useful information to be gleaned from these journals that can help us determine our areas of weakness, as well as places where we can make small, effective, and gradual changes. One thing that it is always important to note is that a diet should not be considered a fad, crash diet that we eventually stop following. What we are going for here is a total change in lifestyle and your diet as a whole. By making small, gradual changes that are not extreme and don't require you to deny yourself makes it far more likely that you will be able to get where you want to be and stick with it without any problems. A good diet will be a change, yes, but not necessarily a bad one. If you feel like you are hungry all the time or that you never get to splurge, there is a huge chance that the diet won't stick. You have to have reasonable goals and expectations for yourself or you are setting yourself up to fail before you even begin. Many people assume that with exercise, more must be better, but this is not the case; there is definitely a thing as too much. It's easy to visualize when you think of your body as a machine. Pushing a machine, day after day, with no downtime or no time for maintenance, is pretty much a recipe for problems. With the body, this means being prone to injury and even seeing a plateau in your efforts, kind of defeating the purpose of all that you are putting in. Working out 3-5 times a week, for no more than a couple hours, interspersed by days off to allow your body to rest and recover is just as important as being active. You don't want to get hurt or see your efforts actually burn muscle, not fat. Without limits and foresight, this can happen. The best cardio exercises are those that quickly get your heart rate up, have you sweating, and keep your metabolism as high as possible for as long as possible after your workout. Ultimately, it is best to find an activity that you actually enjoy, but that also happens to be a good cardio workout. Like a sport? Look for a local baseball, soccer, cycling, or other group and join. These are excellent cardio workouts and they are also a lot of fun. This gives you a good way to combine social time with getting your heart rate up, which is a far preferable combination than slogging away in the gym. Get your buddies to play more pickup games of basketball, or go play a few games of tennis with your family members—whatever you think is fun, that also happens to be a workout, is a much better idea for a workable routine than trying to do the gym. Don't think that you have to do nothing but aerobics videos to get the cardio you need. Yes, aerobics is one way to get cardio work in, but it is not the only way. Walking is cardio, running, biking, jogging, swimming, skating, martial arts, and more. 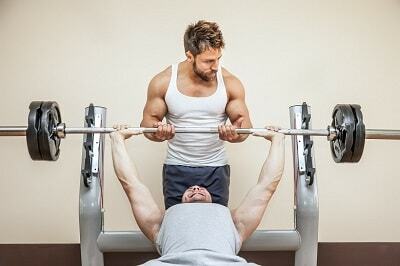 Most of us would find many of these activities preferable to hours upon hours in the gym. It is recommended that you switch up your workout routines to include more than one of these activities so that your routine doesn't get old and stale. Even better, get your friends or family to join you and make getting active and healthy something you can do as a team with those you love. It might not sound like it, but to jump start your weight loss and see results, you do not have to work out for hours every day, in fact, this is actually not a good idea as your body needs to be able to recover from the effort. To help keep you fit and improve your overall health and wellness, 30-60 minutes 3-5 days a week is a perfect amount of activity. Especially for us men, counting calories is not something that appeals in any way shape or form. While we do have to be conscious of calories, you do not have to carry a calculator and notebook everywhere you go. In fact, there are a few things you can do that will see a reduction in your calorie intake without requiring and calorie considerations whatsoever. Firstly, most of us are shocked when we find out just how many calories we are ingesting in the form of our daily beverages. It is incredibly easy to overlook a drink had with a meal, but if this drink is a sugary soda, fruit juice, flavored tea, coffee drink, wine, or beer, you are likely taking in a ton more calories than you realize. A fancy coffee drink from the shop around the corner could pack as much as 400 or more calories—that's comparable to a cheeseburger! And that isn't even food that you likely have as breakfast to accompany it. We are not advocating that you never enjoy a glass of wine or beer, but rather that you remain cognizant about the beverage choices you are making. Rather than soda, consider unsweetened ice tea or flavored seltzer water. Mineral water or lemon in water is another flavorful way to spruce up your meal without loading on the calories. Black coffee or plain iced coffee are far lower in calories and sugar that cappuccinos or mocha lattes. 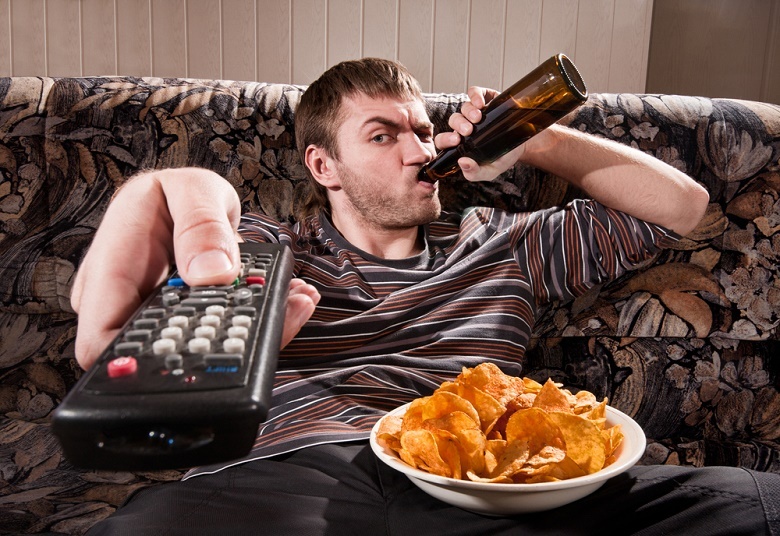 If you know you are likely to have a lot of beverage calories because you are meeting up with the guys to watch the game, just have water during the day instead or take an extra walk around the block to help account for the added calories. Smarter snacking is also another way to help reduce your caloric intake. In a perfect world, we simply wouldn't snack. We'd eat 5-6 small meals throughout the day, meaning that we are never lacking in satiation. With our fast-paced world and lifestyles, this just isn't feasible. Most of us eat a couple larger meals and graze during the day. The problem is that we are often grazing on candy bars, chips, frozen prepared foods, and the like. These things are going to be high in calories, fat, salt, and low in the good stuff. Rather than reach for a bag of chips for a pick-me-up, consider things like low-fat cheese with a handful of nuts and dried fruit. Even beef jerky is a good way to tide you over between meals as it is low in fat and high in protein. You just have to watch out that you aren't getting too much sodium from these things as well. Nuts and especially jerky products tend to be really high in salt; try to look for preservative-free options wherever possible. Though it isn't exactly what we men want to hear, to get rid of that beer belly, it takes a lot more than looking at a fitness magazine. Diet and exercise have to be part of any weight loss plan or it is woefully doomed to failure. 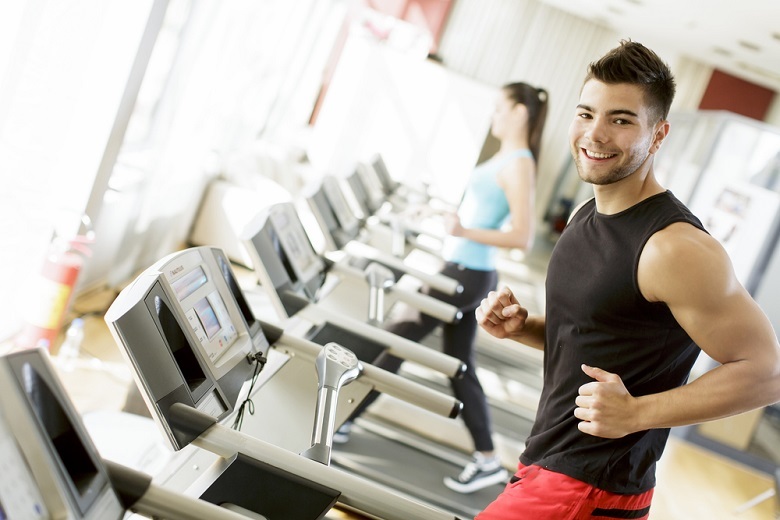 The best way to jump start weight loss is through cardio workouts. These workouts get your heart rate and metabolism up, which helps the body burn fat and calories, while also building muscle. However, if you simply start a workout routine without changing anything else in your life, you are not going to see the results that are truly possible. In addition to exercise, it is helpful to take a close look at the quality of your overall dietary patterns. Whether you do this by keeping a food log or using a calorie counter, any way you can get a good big picture of your eating habits can be highly informative to helping you change your habits. Once you know what your problem areas are, tackle them head on, in conjunction with plenty of exercise and rest days to allow your body to repair and recover. Changing the way you snack throughout the day, monitoring portion sizes, eating fewer processed foods, and watching the calories you get from your daily beverage intake are excellent ways to get the dietary part of the equation under control. Small changes in your diet make for workable changes that are effective and that, most importantly, you can actually stick with. Couple these changes with a cardio workout and you are well on your way to the body you want to see in the mirror. I have been lifting for approximately, 3 years, and I am in the best shape of my life, but I have never used anything to do with Cardio. I weigh 74 kilo, and I am 78, with a physical position that many people my age and younger, ask me how old that I am, which is a compliment, of course. I believe that anyone using Cardio, is doing so, because it has been instilled in peoples brains that it is the thing to do, similar to how many lifters believe that pull-downs behinnd the neck is proper, especially with all the weight most men use. The same shoulder effect, which is safer, can be accomplished by using a standing or seated, military press, where all of the tension is in front, and not behind. With the tension behind the neck, a person’s shoulders will become eventually impaired. 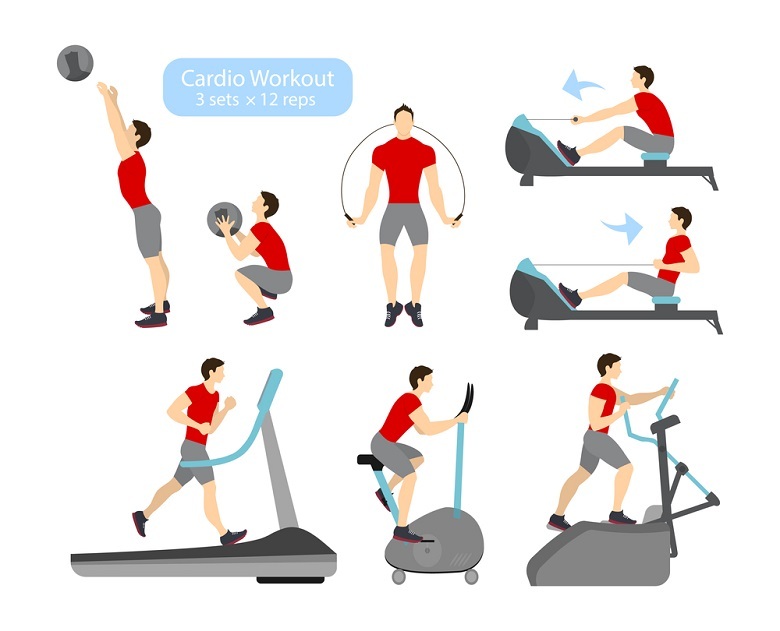 I have never used Cardio, in any of its forms, and therefore, it is my belief, as a perfect example, that the method to burn calories and to impact muscle gain, is by using dumbbells, barbells and various machines such as the cross-over machine, and realizing that most Cardio dwellers, hardly ever consider their nutrition as the primary factor to being viewed as obese. If one feels that they have to use Cardio, then as a maximum, 15-20 minutes at the end of a normal hitting the iron workout, should suffice, not 30 or 60 minutes on any cardio machine. Most cardio dwellers do not realize the wear and tear on their knees, eventually, and I have read an article that frequent cardio, tends to increase the battle between red and white corpuscles.